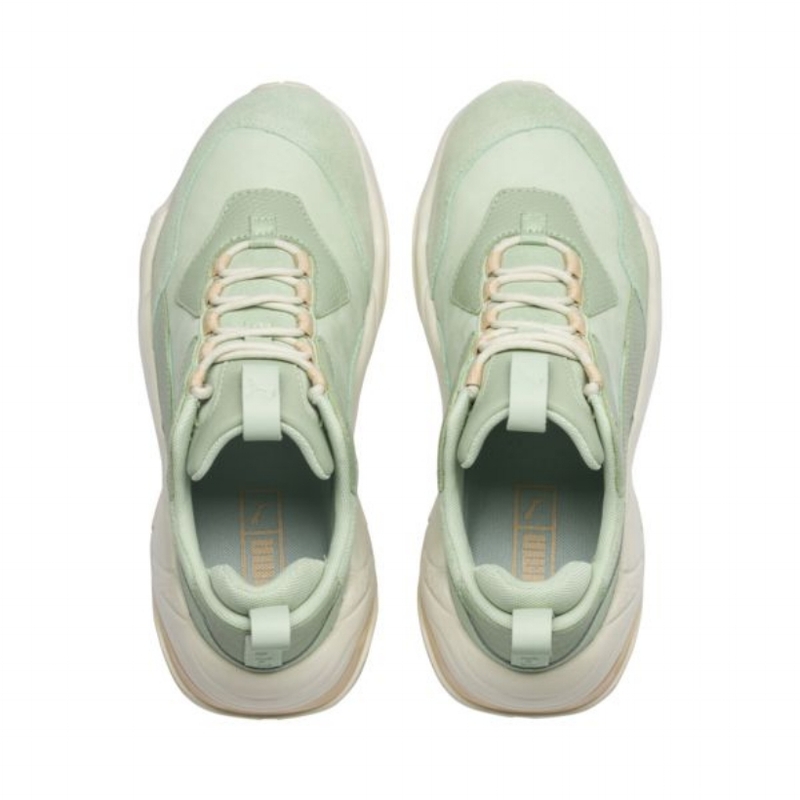 The latest addition to PUMA's Thunder series has just been released, and this is the shoe for the girl looking for something with a softer pop of color. 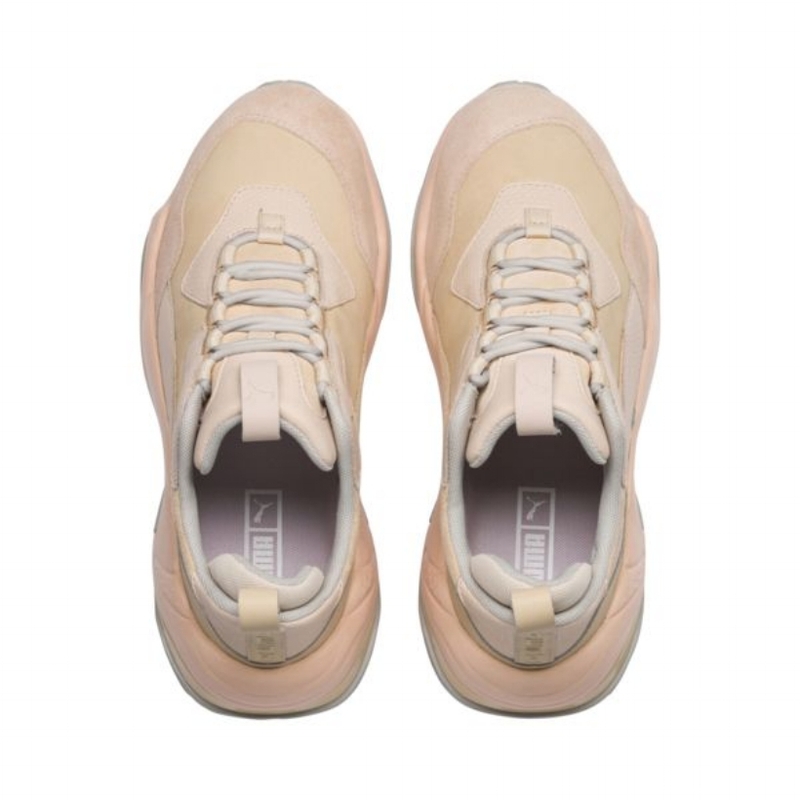 The Thunder Desert is NOW available in two subtle colorway options. If you're an observant sneakerhead, you've probably noticed that brands love throwing it back to the '90s when in the design process. This particular silhouette was inspired by a collaboration with PUMA and the late Alexander McQueen collaboration, as well as running shoes from the '90s. The Thunder Desert mixes a soft elegance with the vibe of street style edginess bringing this aesthetic to life. The technical design of this sneaker is similar to other items in the Thunder collection. 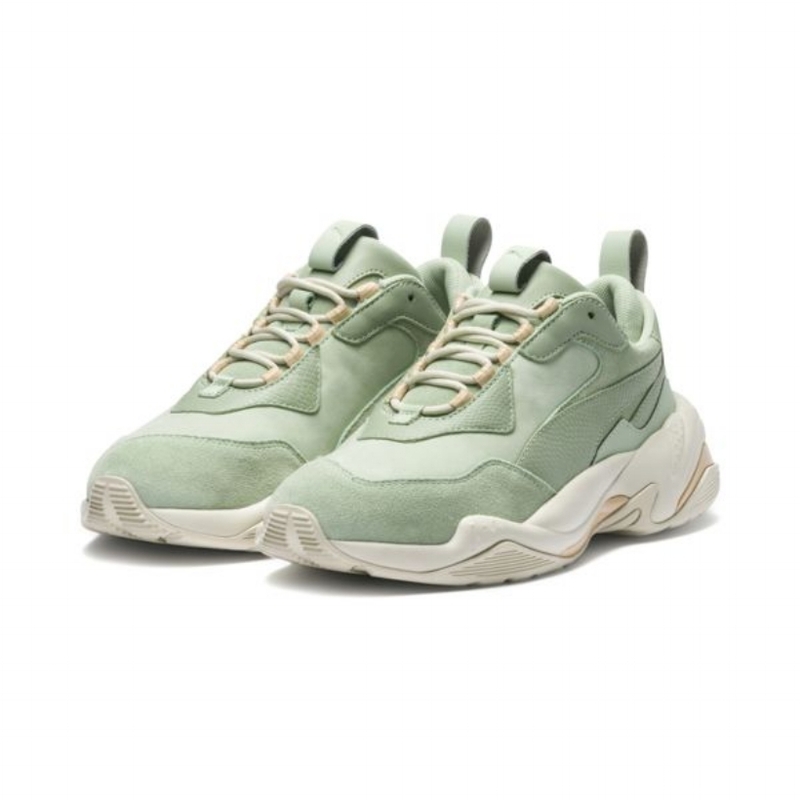 The Thunder Desert is well-known for being part of the chunky sneaker trend. Are you on this wave? This silhouette may look thicker than what you're used to, but PUMA's EVA midsole ensures a lightweight and comfortable style for your feet. The design includes a variety of suede, leather and mesh textures that create a unique, minimalist combination. Check out more angles of Thunder Desert in our image slider below! Cop or can? The PUMA Thunder Desert is available now for $120 in Natural Vachetta-Cream Tan and Smoke Green-Silver Green. If you're feelin' this silhouette, you can use our button below to SHOP THE SNEAKS. On 8/9, the Men's Thunder Desert will debut in both black and white colorways. Cop them while you can!